If you are an undocumented worker, you face a number of challenges in the workplace that documented laborers and U.S. citizens do not experience. 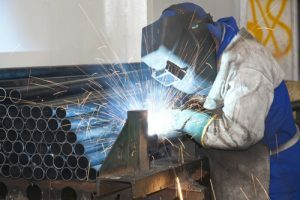 You may put in long hours and work hard to earn a living, but there are always concerns about whether your employer, knowing that you are undocumented, tries to take advantage of you by failing to abide by the labor laws by paying you wages below the minimum wage or by not paying the proper overtime compensation. While you should consult with New York labor law attorneys to discuss your specific case, here is some guidance to help you understand how the law works. Undocumented workers are entitled to the same protections of documented individuals, and must be paid wages in accordance with the federal labor law, known as the Fair Labor Standards Act (FLSA), as well as the New York State Labor Law, which include provisions for mandatory minimum wages and overtime compensation. Minimum Wage: The FLSA sets a minimum wage of $7.25 per hour, or $2.13 for workers who earn tips. Under the law, a tipped employee is one that earns $30 or more per month in tip income. States are free to set a higher standard for minimum wage. New York’s minimum wage currently stands at $11 per hour for New York City based employees with 11 or more employees, or $10.50 per hour for employers with 10 or fewer employees. The minimum wage is higher in New York City for certain groups of workers, such as fast food workers. Overtime Pay: Employees, including undocumented workers, are entitled to overtime wages for hours worked in excess of 40 per week. All time that you are required to be onsite at your employer’s location or at a site designated by your employer is included in calculating overtime. The FLSA sets overtime pay as 1.5 times the employee’s regular rate of pay, or 1.5 times the minimum, whichever is higher. Certain undocumented employees are subject to separate rules for overtime, but whether you fall under the “white collar exemption” depends on the circumstances. In order for your employer to claim the exemption, you must be in a salaried position as opposed to an employee paid on an hourly basis. In addition, your salary must be $23,660 or more in order for your employer to legally avoid paying overtime pay. Finally, your position must be considered administrative, professional, or executive in nature to fall under the white-collar exemption. Proposed changes to the white collar exemption may increase the salary threshold to $47,476. Such a change in the law would significantly increase the number of people who would be entitled to overtime compensation who currently are not required to be paid at the rate of time and one-half for hours worked over 40 each week. However, the proposed amendment has not been approved by the Trump administration, and wheter it will be is unknown at this time. Recovering Back Pay: If your employer fails to properly pay you minimum wages or overtime compensation, you’re entitled to recover those wages – even as an undocumented worker. It is possible to recover the amount of back pay your employer owes, plus an equal amount as liquidated damages. Regardless of your status as an undocumented worker, you do have rights under the FLSA and New York Labor Law. If you are an undocumented worker and believe your current or former employer has engaged in misconduct in paying your wages, you need an experienced attorney to represent your rights. Contact the wage and hour attorneys at Cilenti & Cooper, PLLC for more information on how the law protects you. Our firm is centrally located in Manhattan and serves all boroughs including Manhattan, The Bronx, Brooklyn, and Queens, as well as New Jersey.